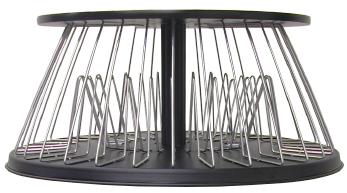 Designed to hold 60 1 inch, 1 1/2 inch or 2 inch top or side binders. 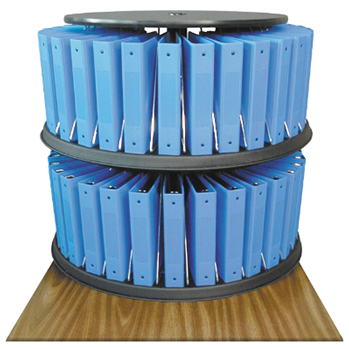 Each tier independently rotates 360 Degrees. 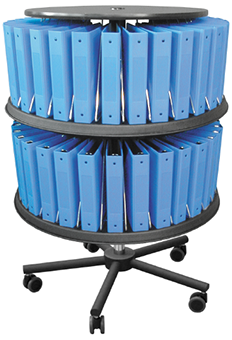 Organizers can be repositioned to store larger binders. Add optional Add-A-Tier units to increase storage. Designed to hold 1 inch, 1 1/2 inch or 2 inch top or side binders. 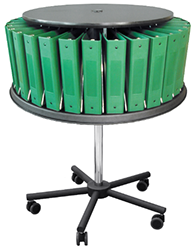 Each tier independently rotates 360 Degrees. Organizers can be repositioned to store larger binders. Add optional Add-A-Tier units to increase storage. Designed to hold 1 inch, 1 1/2 inch or 2 inch top or side binders. 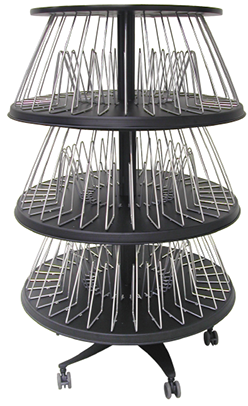 Each tier independently rotates 360 Degrees. 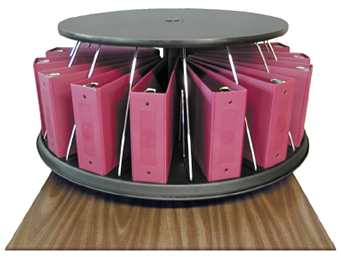 Organizers can be repositioned to store larger binders.